Extremely unusual for a dive watch, the new Prospex Marinemaster 300m SLA015 is a limited edition with an unexpected pale blue dial. 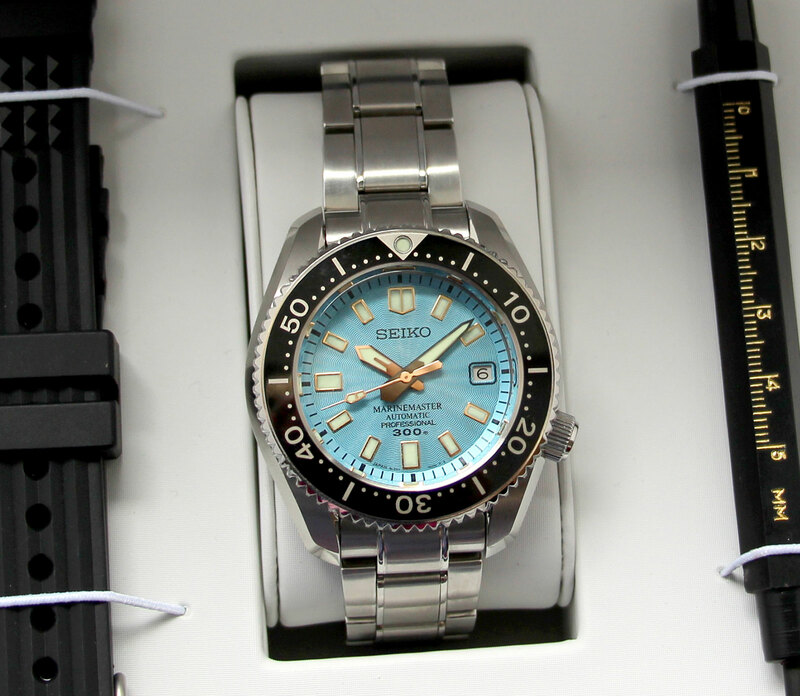 Popular for its old school styling and affordable price, the Prospex Marinemaster SBDX017 is the most affordable of Seiko‘s high-end dive watches. Now the Marinemaster 300m just got a lot more, well, different with the new Europe-only limited edition SLA015. 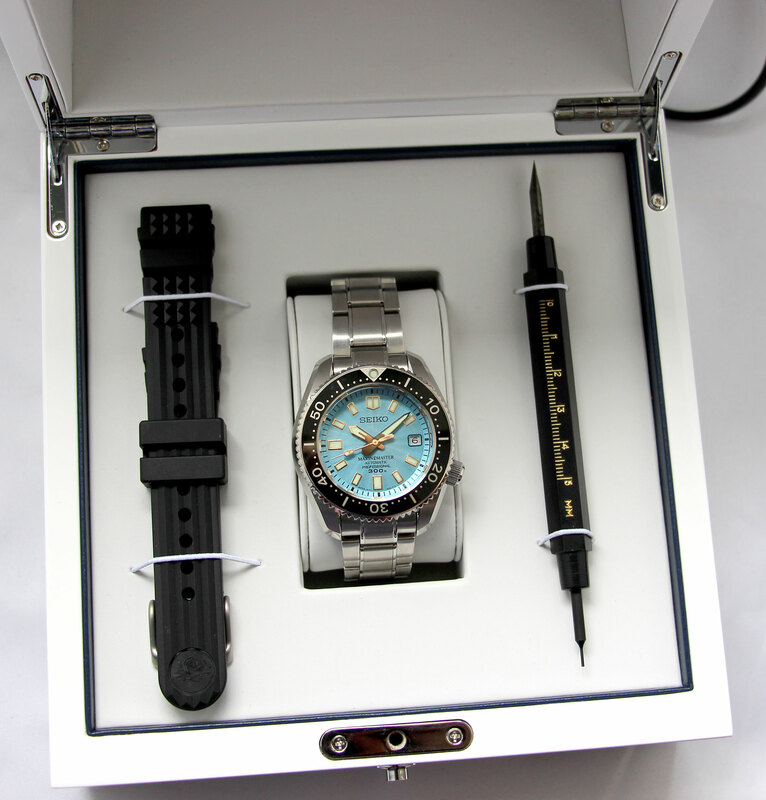 It has the same specs as the ordinary Marinemaster 300m, namely a 44mm steel case with the automatic 8L35 inside. But the dial is a bright, light blue (cyan perhaps?) with a radial engine-turned decoration, matched with gold-plated hour markers and hands. The SLA015 is limited to 200 pieces and packaged with a rubber strap and strap tool. 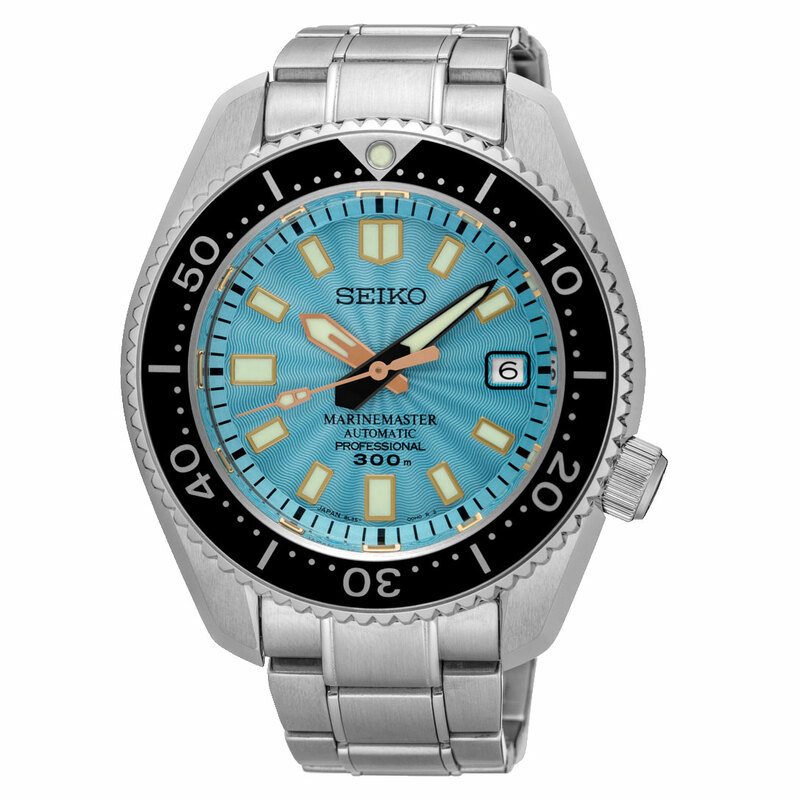 The price is €2300 including taxes and it will be available only at Seiko retailers in Germany. Seiko has teamed up with Japanese fashion label nano universe to create a series of all-black watches inspired by military timepieces.